Built in solid structure with high weight capacity up to 125 Kg/275.6 Lb. Height adjustable range is 58.8-70 cm/23.1-27.6'', can meet varied needs. 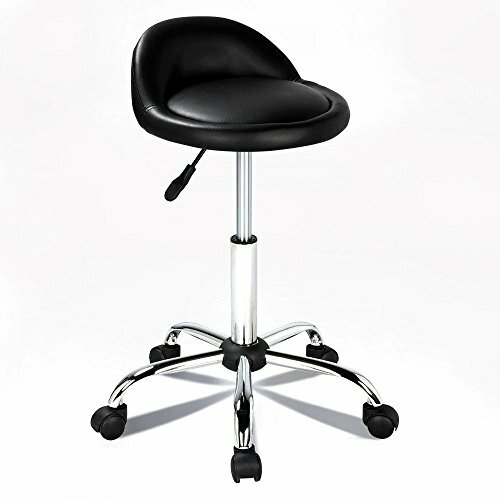 Features 360 degrees swivel for optimal angle without moving the stool. Easily operate lift handle, just pulling the handle up and down for height adjustment. Contains 5 heavy duty casters for easy mobility. Versatile design for barber shop, massage shop, etc.